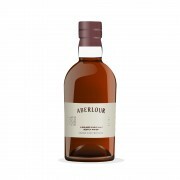 Aberlour A’Bunadh is a powerhouse sherry monster and has been among my favourites since I first started learning about and tasting whisky in 2011. Since 2013 I’ve been opening a batch to match my age. 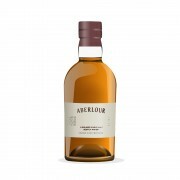 When I first started drinking whisky my friends and I would go through a bottle in less than a year, but as my horizons have widened and my friends have spread out across Canada, my consumption of A’Bunadh has narrowed, and in January, when I finally had occasion to open batch 47 (9 months after my birthday), I still had a significant amount of the 46 from (now almost) 2 years ago. The only solution was to review them head to head. This bottle was opened in late April or early May 2015, was 1/6 full, and gassed after each opening. 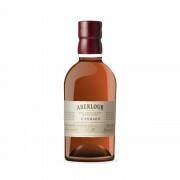 It is reviewed in my usual manner, allowing it to settle after which I take my nosing and tasting notes, followed by the addition of a few drops of water, waiting, then nosing and tasting. After the review I mixed the remaining volumes together (~50:50) to produce batch 46.5. The nose is a little different than either of them individually. A little sharper than the 47 but deeper and more rich, and less spirity than the 46. The menthol comes through a little stronger on the palate, as does the chocolate, and if I were blinded to the label I might confuse this for a Benromach 100/10. Definitely delicious, not better or worse, I would give this a score of 88-89. Batch 46 is not bad, and I certainly enjoy it more than the 36 or even the 38, but it tastes a little younger and harsher than some of my favourite batches, including the 47 that it went H2H against.